It 's a superb dressing, some of the finest balsamic from Modena that receives the highest certifications in the industry: Organic and D.O.P. (Protected Denomination of Origin). This product is a result of a very long process that last at least 25 years and it's obtained by aging acetified cooked grape must in wood barrels all absolutely different by type of wood and size. 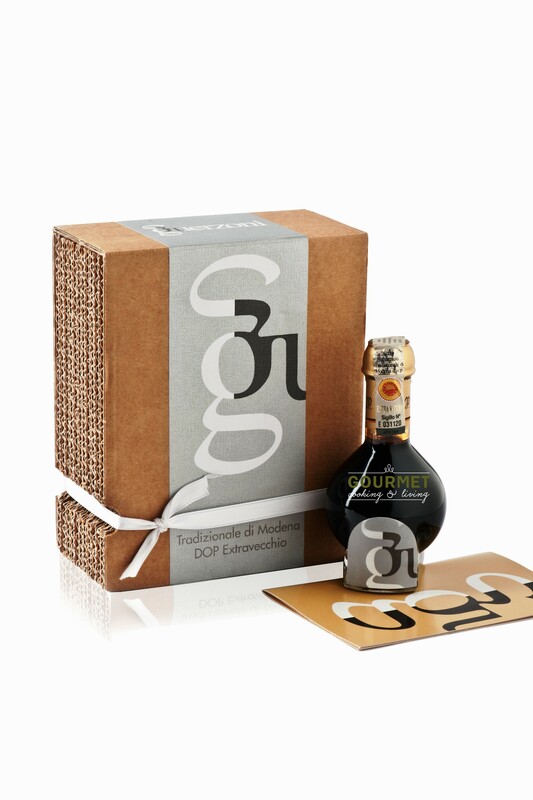 Tested and certified by the Modena Chamber of Commerce, this balsamic vinegar can be considered truly unique, since the “Acetaia Guerzoni” has use organic and biodynamic grapes. This product is best savored with meat, vegetables, cheese, fruit and ice cream.